We provide businesses with an end-to-end mobile and desktop eCommerce platform, providing your customers with a customized shopping platform with your brand. Everyone loves to shop. With Link Commerce we add a new way to monetise your current users and reach a new user base with eCommerce. 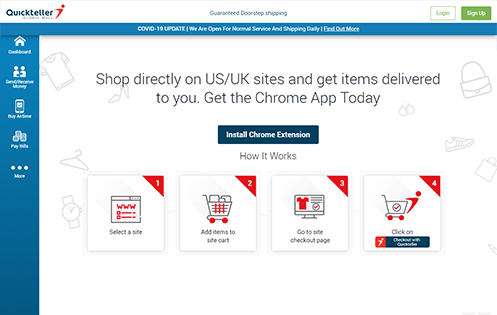 Enable your users to buy from over 8.5 billion items from 250+ US/UK retailers with the Link Commerce custom branded app. Your users will always think of your brand when they want to shop. At Link Commerce we are keen to help you grow your business in your country by using eCommerce and providing you with a customized and branded patented award-winning eCommerce platform. We provide businesses globally with a turnkey online eCommerce app and platform. Our patented platform is what drives and powers the award-winning online solutions MallforAfrica.com, MallfortheWorld.com and others. Link Commerce empowers any business in any emerging market country with an eCommerce platform, featuring products from the top 250+ online US and UK eCommerce websites and offering instant and ongoing access to an inventory of over 8.5 billion items. We can supply you with a full turnkey solution or work with you to incorporate any key competence you may have in the payments or delivery channels. Our goal is to make your business grow. We will integrate and build a custom eCommerce app and desktop platform branded just for your company to enable you to sell to your customers an assortment of products from the US and UK shipped directly to your customers in your country. With our patented award-winning platform we develop an eCommerce process customized to fit your company, so you generate income from sales or any publicity. We want to give you a USP that brings you consistent income. With Link Commerce and eCommerce you get that and more. At Link Commerce we provide businesses globally with a turnkey online eCommerce app and platform. Our purpose is to help you make money and increase your market share. People love to shop, which means your target audience likes to shop. If your target market shops why not let them think of you as their shopping portal. 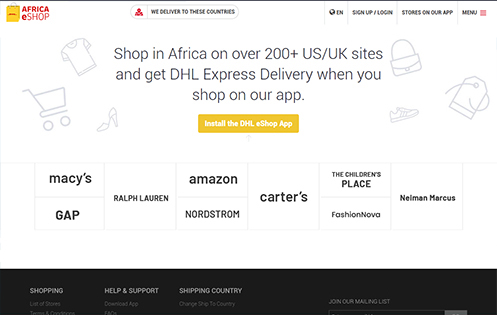 It doesn't matter where your company is in the world, with Link Commerce your customers can shop and receive items from over 250 US and UK retailers with a branded app we develop just for your company. 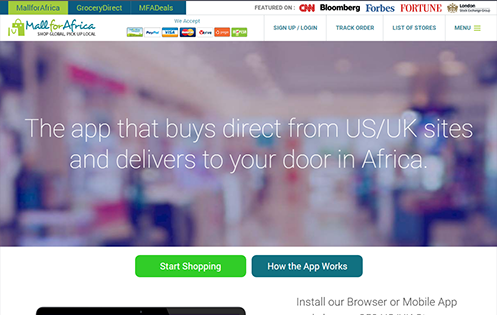 Our patented platform is what drives and powers the award-winning online eCommerce platform MallforAfrica.com and MallfortheWorld.com. Link Commerce empowers absolutely any business in any country with the ability to create an eCommerce platform with over 8.5 billion items. Link Commerce is a state-of-the-art patented platform that provides you with the largest online mall in your country! Shop globally on over 250 top online retailers in the US and UK, delivered locally in your service area. Link Commerce © All Rights Reserved.